Contemporary neo pagan ideas of Lilith tend to see in her a sort of spirit of joyous ecstasy and female sexual potency. In the same vein there are also attempts of merging Lilith with Belili and Baalat given the motive of both names referring to a ‘beautiful maiden’. In fact these epitaphs refer back on Astarte-Ishtar as the Queen of these restless and disturbing spirits. If we look at the Ugarit texts to our disposal, like Maqlû and of course the story of Gilgamesh it will appear that Astarte-Ishtar is in truth the Queen of the ‘beautiful maidens’ –the hostile as well as the benevolent ones – as they complete her totality. 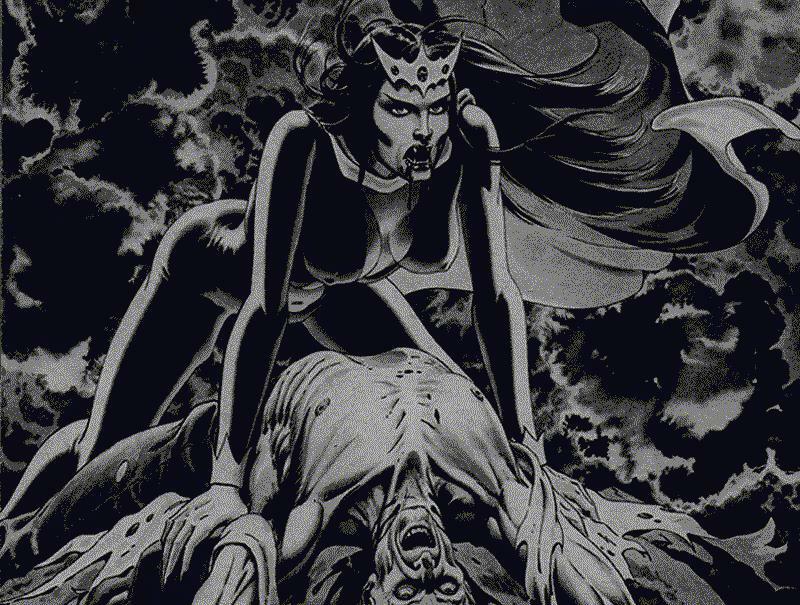 Lilith, like Astarte-Ishtar possesses wings. The presence of wings suggests several matters; the relation with the winds being one – the connection with the Netherworld being another. The latter motive is found in the poem of Ishtar’s decent to the Netherworld where we read that the inhabitants are ‘clothed like birds, with wings for garments’. There is a agility to move between states and realms by spirits and divinities possessing wings. Demonesses in general possess wings and in this case the winds take prime importance. In Mesopotamia the winds and their spirits were of great importance. The winds brought omens, blessings, demons – and illness. A cold northern wind in the night would be judged as inauspicious as the cool eastern breeze during the day would be seen as a welcoming spirit host blowing over the land. Maqlû speaks of Ardat-lili as an ‘ice woman’ and Lilith being an ice cold wind from the north. We find here the lilin spirits defined by ice, coldness and nocturnal winds. We all have witnessed cold winds blowing in the night that bends the branches on trees and generate a certain atmosphere of threat and danger. This is the winds from the wings of Lilith as she searches a window or door welcoming her. In the Ugarit texts to our disposal we find the word KI-SIKIL-LIL-LA, being mentioned as a call for the ‘beautiful maiden'. Actually this is a word of power replicating the magical nature in the screech of owls. We see this charm or parts (Kilili) of it being used in reference to the spirit Orina lili who is said to be the ‘queen at the window’, used both to appease this spirit and drive it away. A sick person seeing an owl at its window can be sure that he is haunted by lilins and can use the window for reciting counter conjurations to expel the spirits of disease. The illness implied would further support the connection with the Netherworld and the realm of Death. As we see, Lilith is mentioned together with a host of spirits that are hostile to human well being, further down we also find spirits like Namtar, epidemics and Unna, fever, being mentioned as demonic winds. 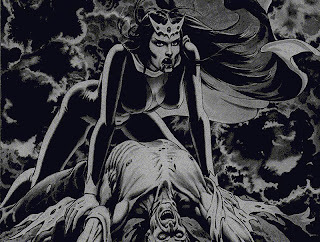 Spirits like Lilith, Lamasthu, Agrat and Mahlat are all seen as spirits that are ‘going around the house’ and try to enter a household and cause premature death of males and infants – or a general wreaking of soul and spirit – especially of males. We are speaking of the phenomena we know as succubi. Maid in whose breasts was never (any) milk. As we see, she is a sexual predator – translated into the power of sexual frustration. 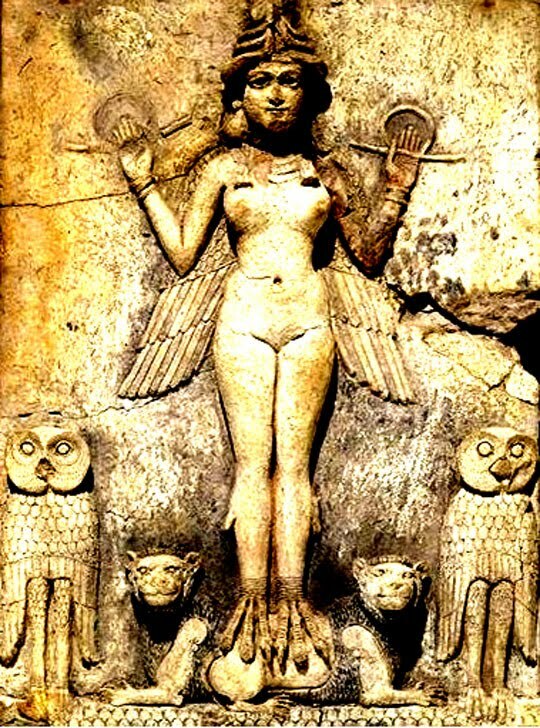 It is interesting to note that Astarte-Ishtar by sharing the word Kilili with the Lilù spirits and Lilith reveals a connection met in the nocturnal birds. In Maqlû 3 we also find the Ištaritu (votary of Ishtar) among the persons reputed to master the arts of sorcery and witchcraft.